Nonio C is a program for modeling large topographic and cartographic surveys using triangles, contour lines, slope charts, color shading, sections, and three-dimensional views. DomusTerra is 3D land modeling for architects and landscapers, suitable for smaller projects. All the features of Nonio C with some limitations of size and function. DomusTerra is a new low-cost program for architectural land modeling. DomusTerra springs from Interstudio's vast experience in the land modeling and representation sector, begun in 1988 with the first release of Nonio C.
DomusTerra has all the characteristics of its big brother Nonio C - interactive modeling, walkthroughs in real time, supports textures, supports plug-in renderers - with some limitations regarding direct plotting, modeling and allowable number of points. While Nonio C is best suited for more elaborate surveys and for modeling large tracts of land, DomusTerra can be used for smaller projects and architectural landscaping. A land model created with DomusTerra can be exported to an architectural program, such as Interstudio's own Domus.Cad or Graphisofts ArchiCad, where it may be viewed and elaborated along with the architectural model. 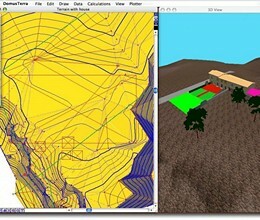 The reverse operation may also be performed: an architectural model may be imported to DomusTerra (in QD3D MetaFile format) where it can be placed directly on the modeled landscape. DomusTerra imports and exports in Domus.Cad, GDL, DXF 3D, 3DS, 3D MetaFile, and DigiCad 3D formats. No demos of DomusTerra are available but you may download the new Nonio C demo above. * Nonio C & DomusTerra download link provides trial version of the software. 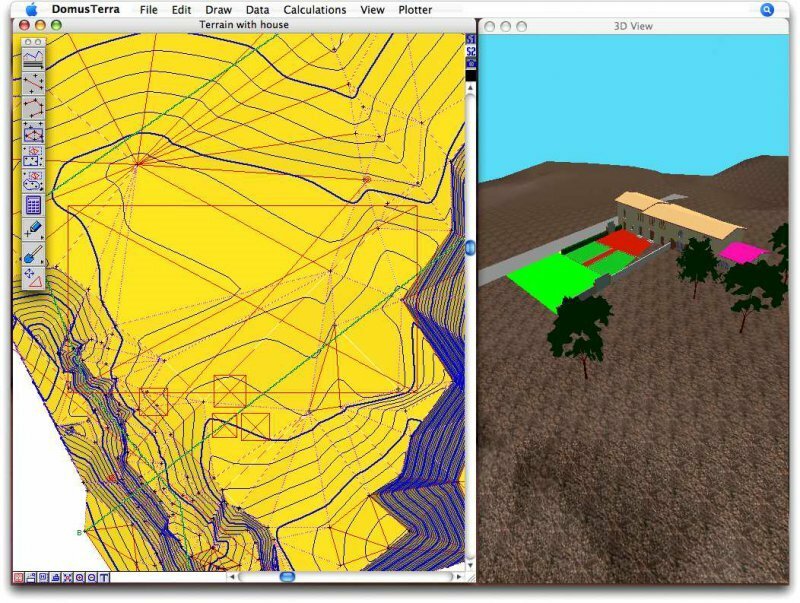 The software ALE Advanced Land Editor is used by civil engineers, geologist and surveyors to perform the detail design of roads, open-pit mining, dams, garbage dumps, land rehabilitation, civil general design and so on. No one has rated Nonio C & DomusTerra yet. Be the first to rate this product.